Got a kid that's between three and a half and six? Want something to do before or after lunch on a Saturday? Here's your chance for a discounted class. CALLING ALL BALLERINAS AND DANCERS OUT THERE! El Pequeno Artista has a super sale this spring - first time for this class! 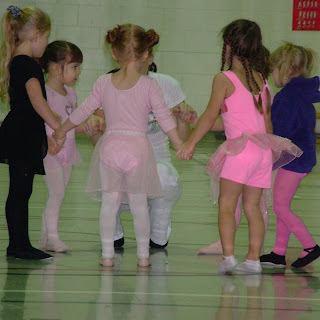 Our ballet workshop started late for our star ballerina was on rehearsals. We have 9 classes left in the workshop and we would like to invite other dancers to come have fun with us. The price for the remaining of the workshop is now $150! A saving of $70 from the original price!! Age 3 1/2 to 6 yrs. A fun introduction to ballet using imaginative techniques! Children learn the primary elements of classical ballet, including floor, bar & center work, and get a true sense of accomplishment with this dance. First send us an email with your child's name and age and your contact information. After that, you can send a check for $150 to El Pequeno Artista: 372 15th St. #1A Brooklyn NY 11215. Or call 646.207.0626 to have your payment processed by credit card. You'll receive a confirmation email when we have received your payment.